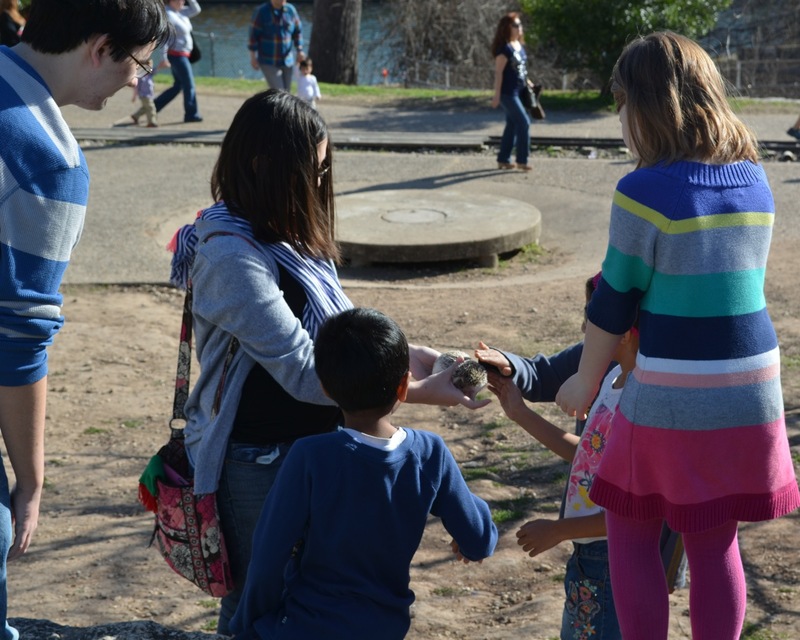 On Sunday one of our readers, Megan, called to see if we wanted to meet at Zilker Park to visit Barton Creek Trail. Well, when half your readers want to meet up, it’s hard to say no. As it turns out, the other half of our readership was also able to join us too, more about that later! 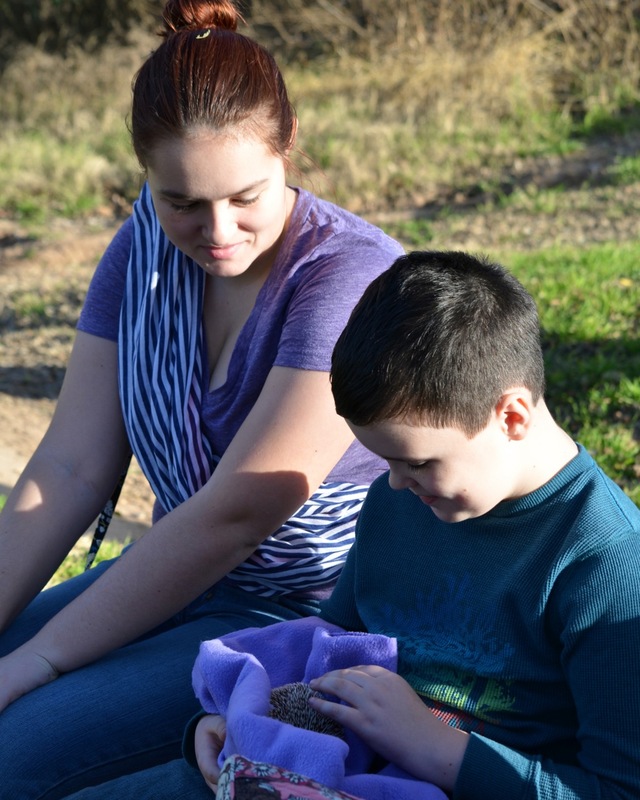 So we took Princess for an outing to the park to see a really nice trail. 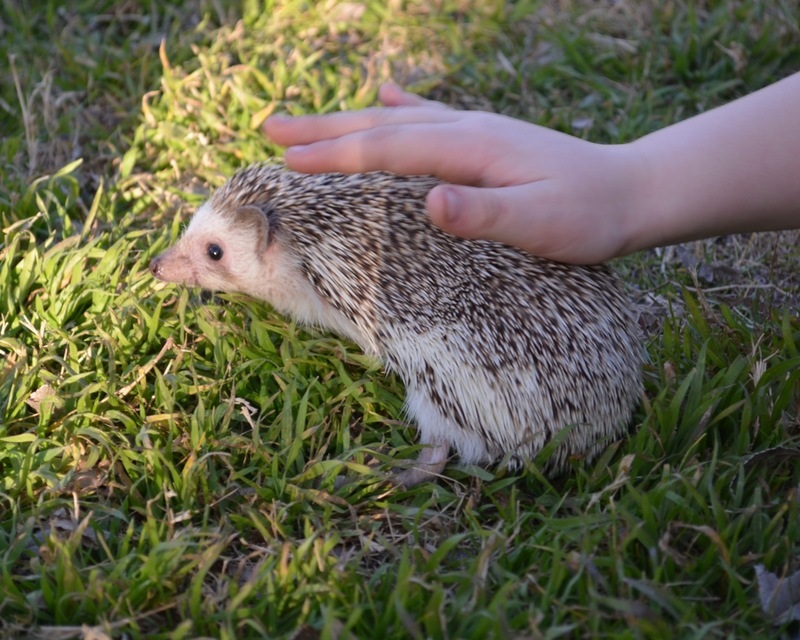 Once we arrived, we let Princess take a walk in the park. She loved it. This is what her loving taking a walk in the park looks like head on. And this is what her loving taking a walk in the park looks like from above. 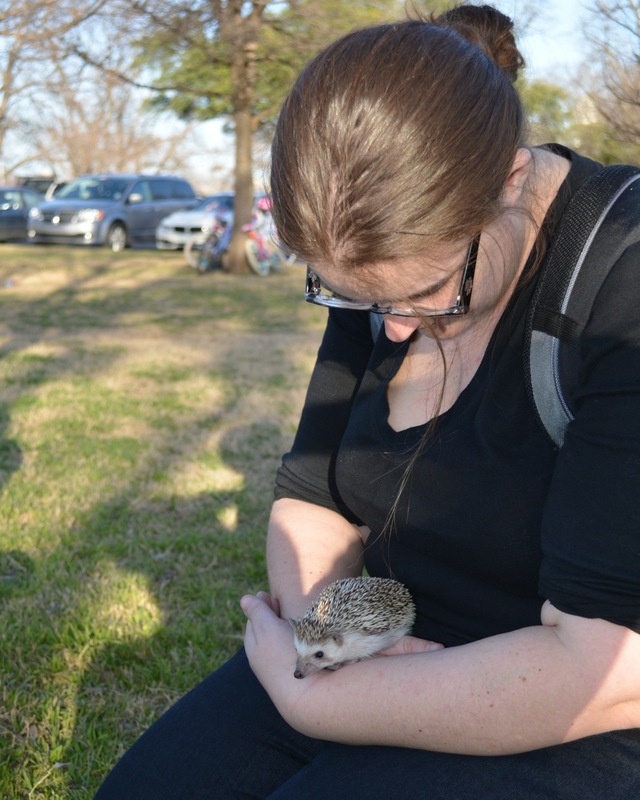 Since we were playing with a hedgehog in a busy park, people noticed. Mostly little people. 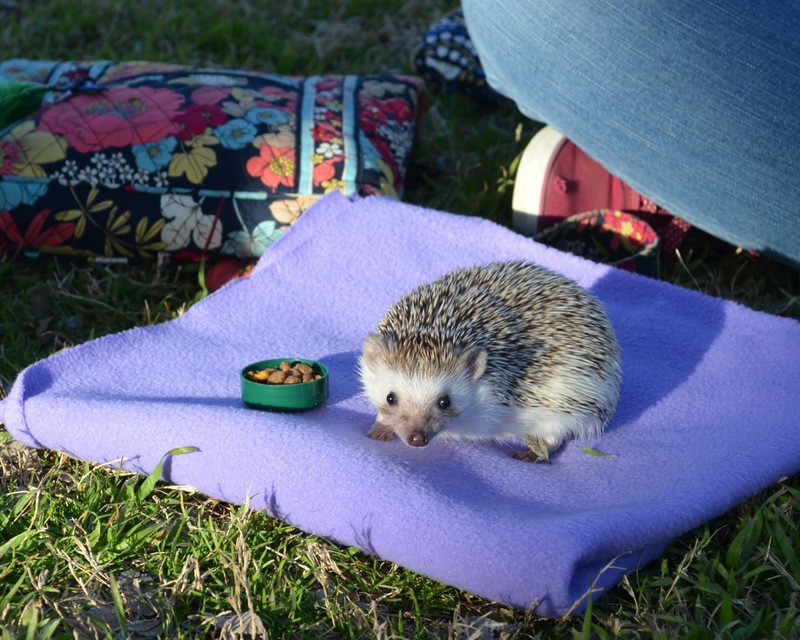 We introduced Princess Pricklepants to potential readers. She was pleased to meet them. Here is Megan’s little one Bridget, also known as BB, but who we will call Fred, saying hi to Princess. Hi Fred! 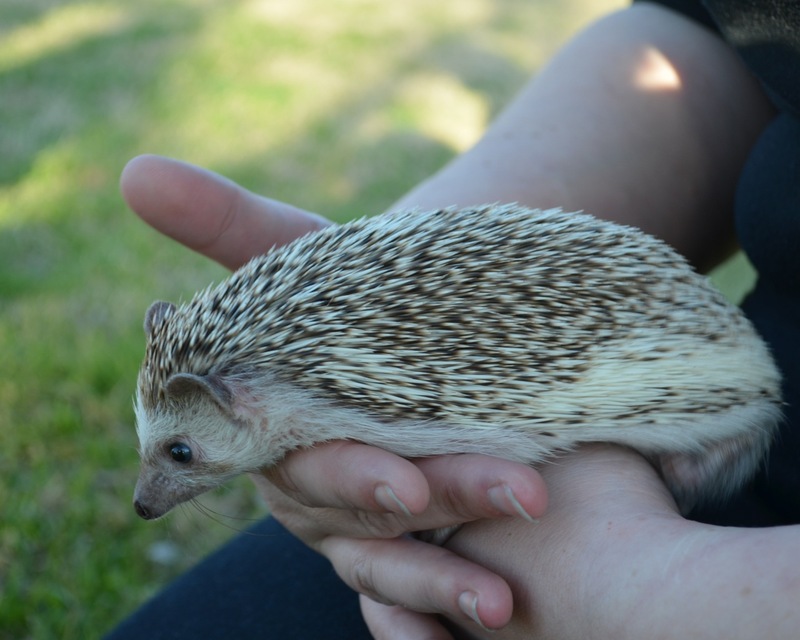 Here’s Ron below, Megan’s very precocious progeny with Princess Pricklepants. He explained to me that he is a mercenary who would work for good food. We talked about owls a lot. Also, if you look carefully at the photo below, you’ll see that there are actually two people in the photo. The person in the back is the kind and gentle Swarley, another reader who came along. Swarley is Princess Sophie’s pal and the other half of our readership. She is also awesome. Hi Swarley! Hi Ron! We packed Princess in a personal Princess pack, and proceeded to port her on our peregrination on the path in the park. Editor’s note: Actually we put Princess in a ‘baby sling’ fashioned from a long scarf. Perhaps we should purchase a purse in Purple Punch from Vera Bradley, for the potential purpose of private princess portage in a personal pack. Editor again: What was lovely? The purse, the path, the park? It was all very lovely. There were coots and gadwalls in the creek. I explained to someone that coots were not ducks, but a kind of rail, with a very interesting foot adaption that I couldn’t go into much detail about since they walked away. 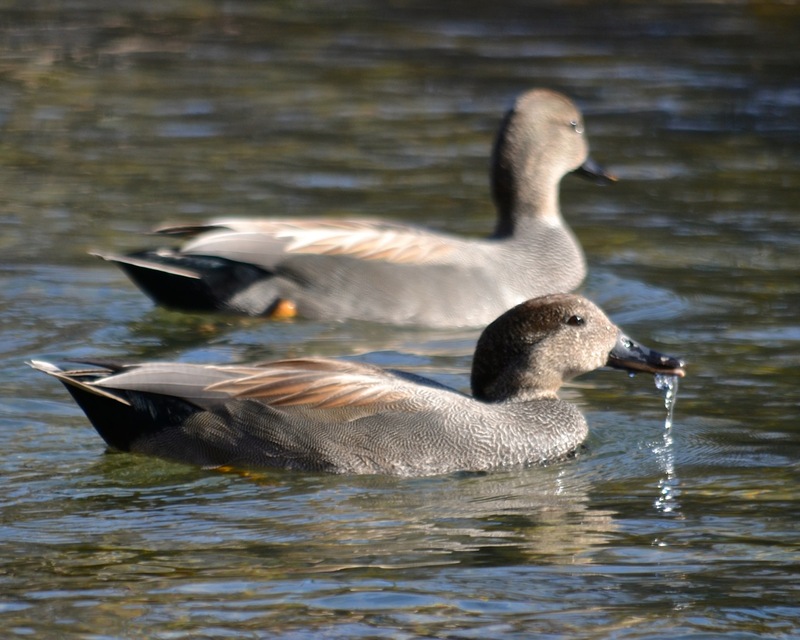 And the gadwalls, well those are one of my favorite ducks. From a distance they look rather plain, but up close their plumage is fantastic. Here’s a gadwall dabbling. I took a lot of pictures of coots and gadwalls, also some cormorants, and a few other birds. 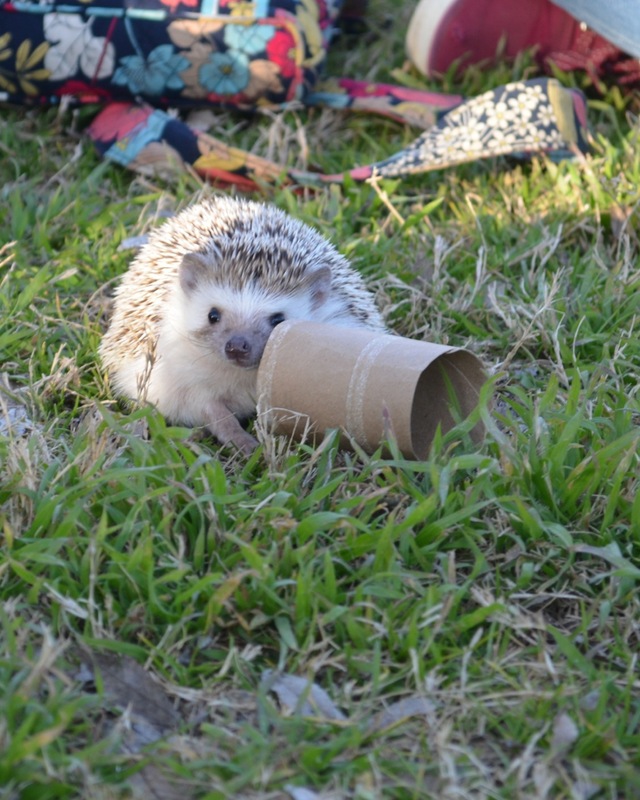 But this isn’t a bird watching blog, it’s a hedgehog blog. So we’ll leave it at that. We wandered and talked about things, and looked at lovely things, and went over a precarious bridge, and sat on a bench and took photos that didn’t come out. 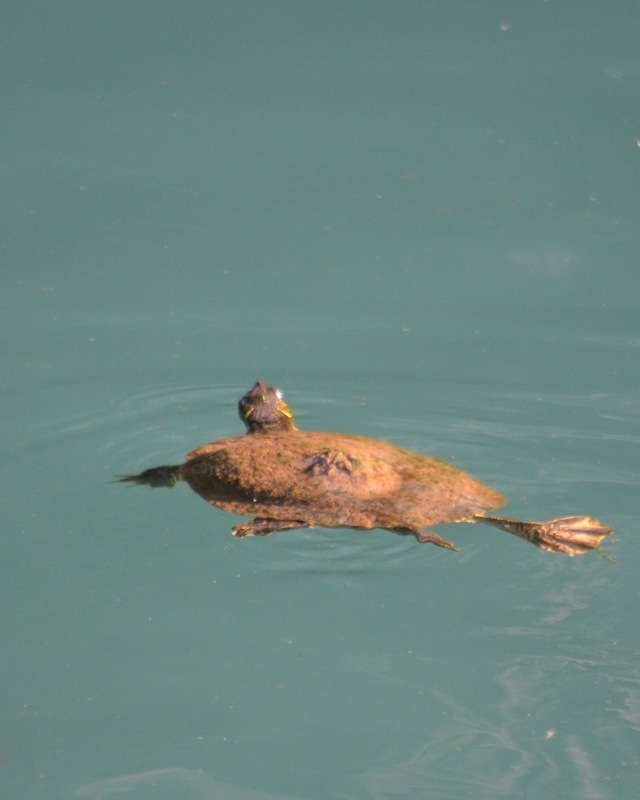 We also saw fish and turtles, and I never said I wouldn’t post more pictures of those, so look, isn’t this painted turtle lovely? That’s really what it looks like – no Photoshopping. The water in the creek has a really lovely hue due to the lighting, the light limestone creek bed, and probably some algae too. We eventually finished our walk, and hung out in the park. 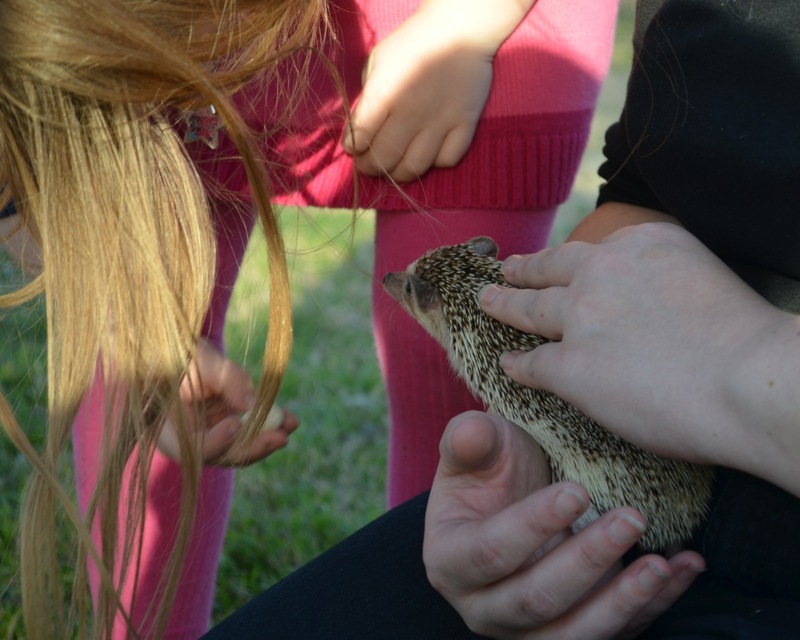 We took out Princess P. P., who had been really patient, and let Fred and everyone visit with Princess. 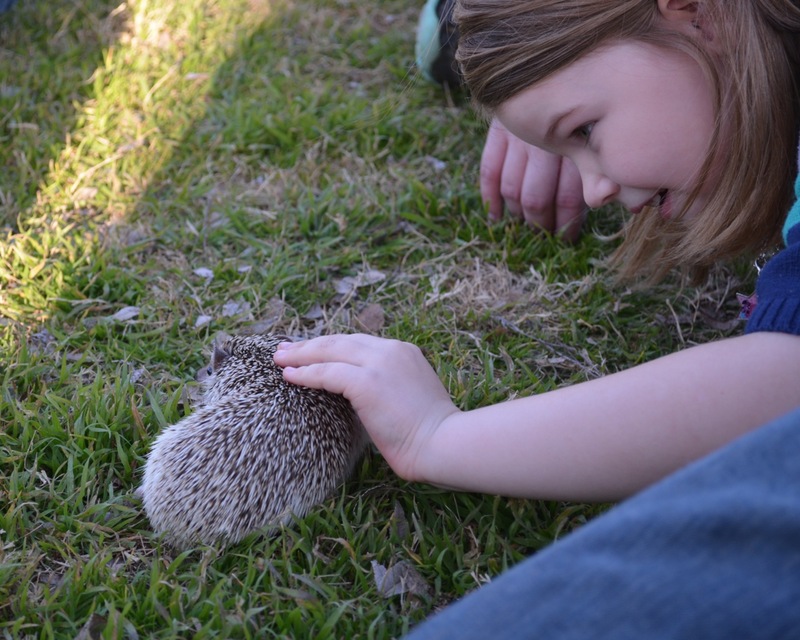 Fred was pleased to pet Princess Pricklepants. So pleased that she pet Princess repeatedly. 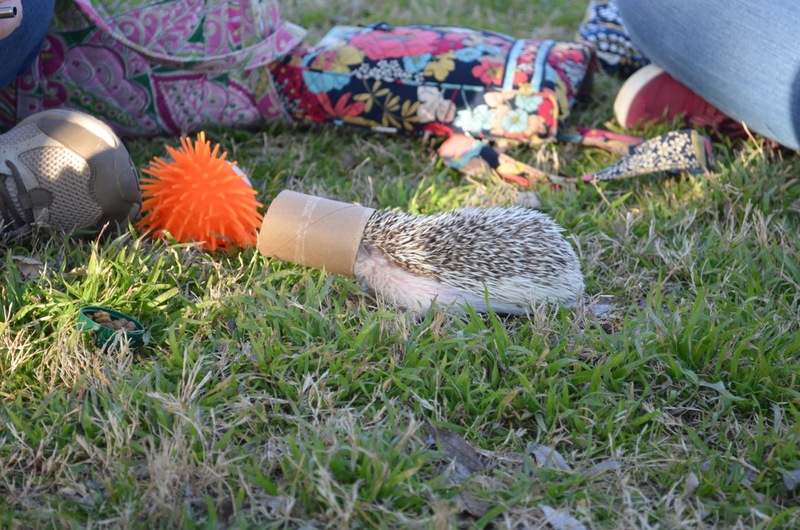 We set up a small circle to let Princess play in the park. She tubed. 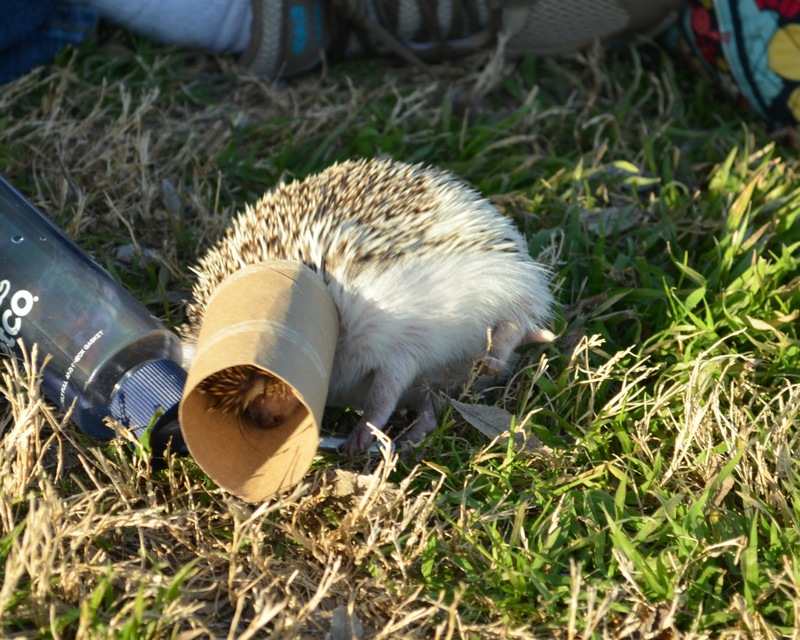 It’s what a hedgehog does. We set up a picnic for her. Princess played with Megan and was pleased to play with one of her fans. 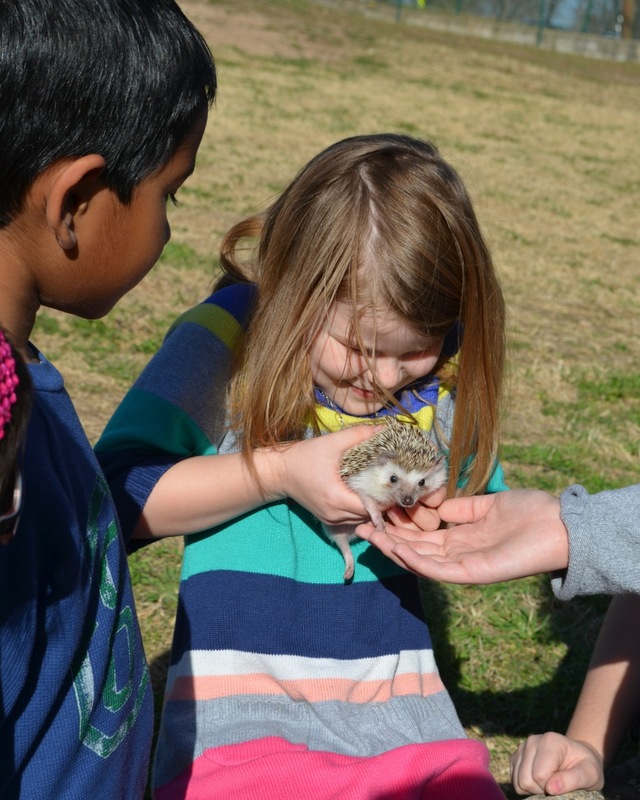 Megan and Fred both seemed to have a warm spot in their hearts for the pygmy hedgehog. And there was much holding. Then something really exiting happened that forces me to briefly return to the topic of birds, because it was so cool! 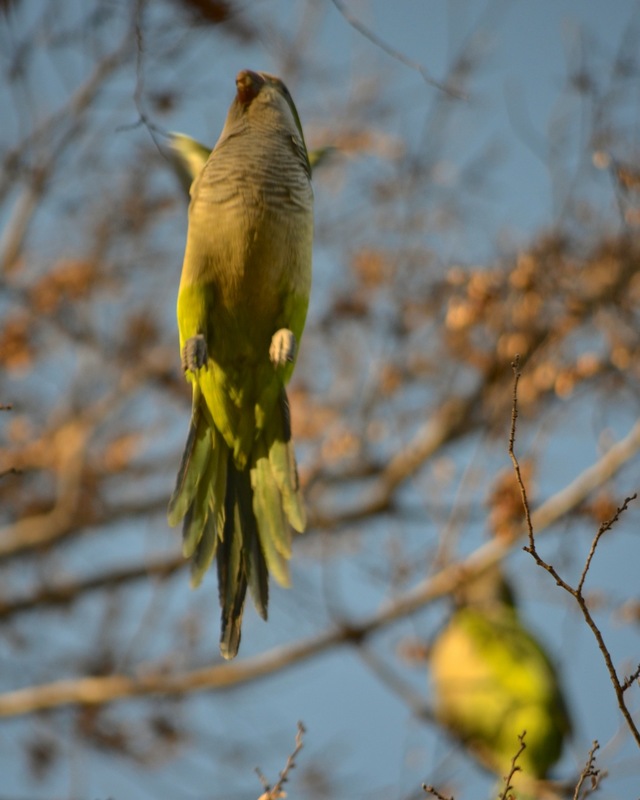 We (Editor’s note: he) spotted Monk Parakeets flying in nearby. 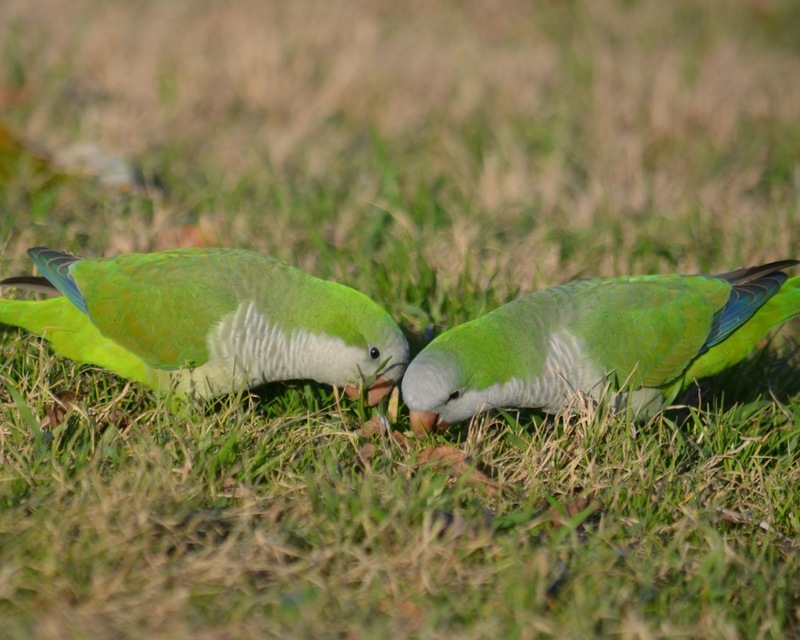 Monk Parakeets are a species of parrot that can live in much colder climates than most, so there’s a breeding population in Austin. 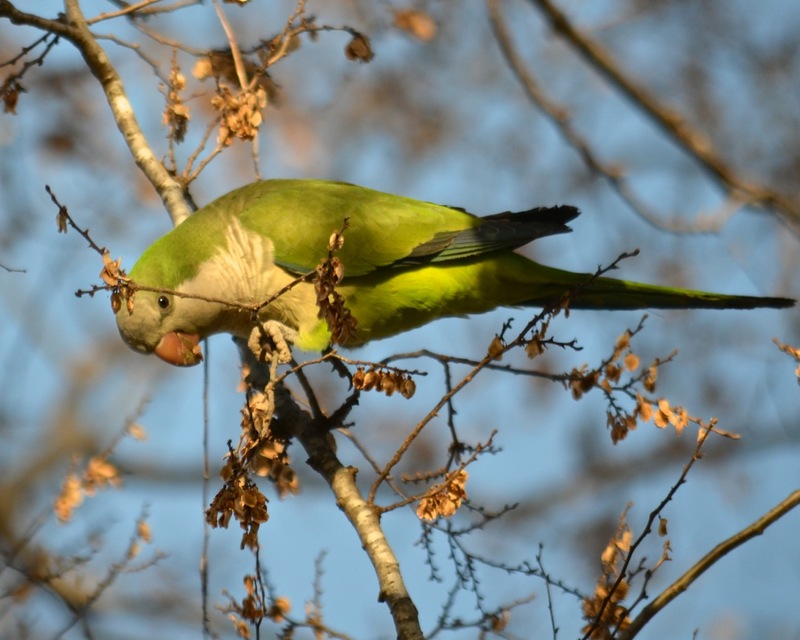 We (Editor’s note: he) could easily spill a few hundred words about may things related to Monk Parakeets, but will spare you. Here are a pair grazing. Who knew parrots ate grass? And here is one doing a precarious looking flyover. Fear not, there was no parrot poop pelting photographers. After that we got dinner, which was very good. Thanks to Megan and Swarley, it was pure pleasure to have plentiful Princess pals present in one place. 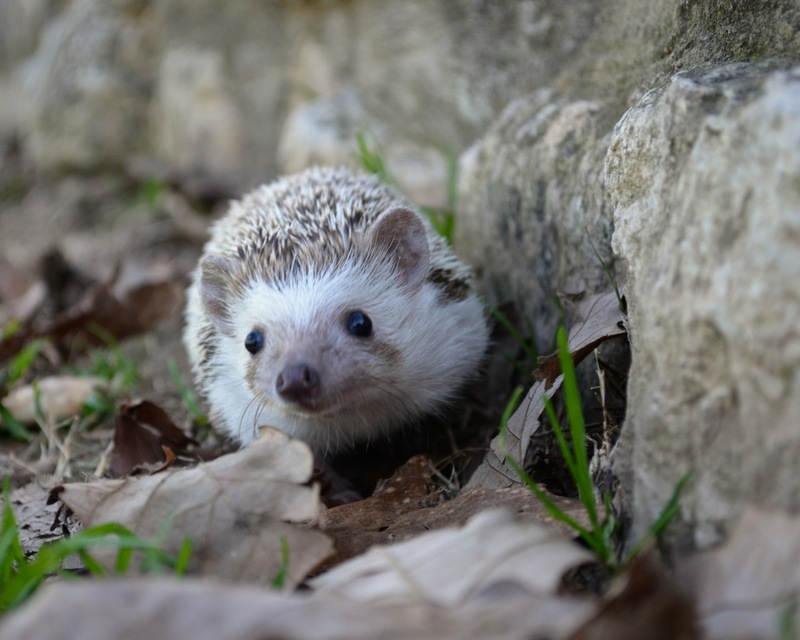 This entry was posted in Hedgehog and tagged African Pygmy Hedgehog, awesome, Barton Creek, Barton Springs, Fans, hand, hedgehog, hedgie, Megan, Monk Parakeet, Myiopsitta monachus, Park, Pet, photo, photography, princess, Princess Penelope Pricklepants, Princess Pricklepants, Quaker Parrot, Swarley, Texas, tubing, Turtle, Zilker Park. Bookmark the permalink. She didn’t run away?? I’m so afraid to take Emilio out because I know how fast he goes on that wheel of his….So cute! Thanks! She doesn’t run too fast when she’s in the open, though we had a few people around in case she tried to bolt. 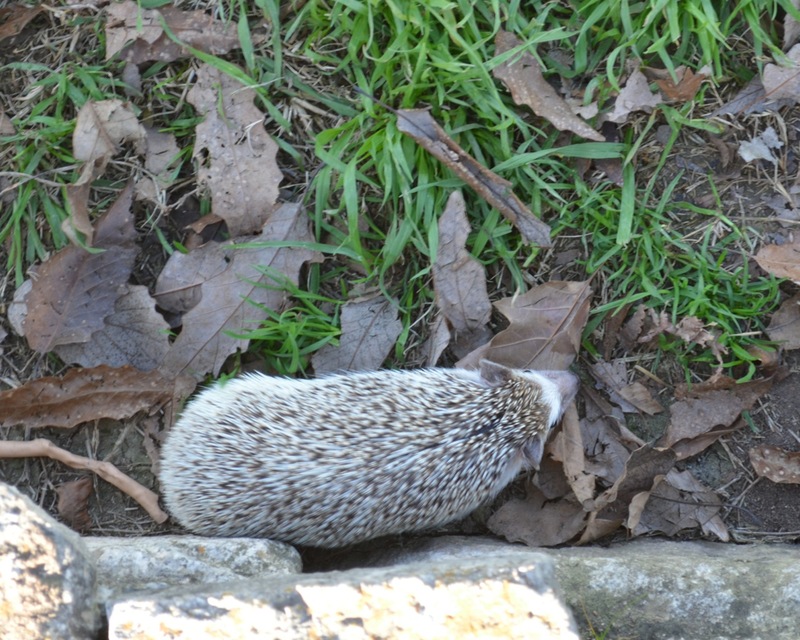 So far her fastest running speed on the ground is nowhere near a human running speed, and she was so interested in all the smells and things that she mostly was walking a little, pausing to sniff, walking a little, pausing to sniff. A lovely treat to see the Princess out among her subjects, enjoying the world. She looks very pleased in all these photos. It was a really lovely day, always wonderful to get out the park.